It’s not too late to Turn It Purple! Today is the first day of Pancreatic Cancer Awareness Month 2017! 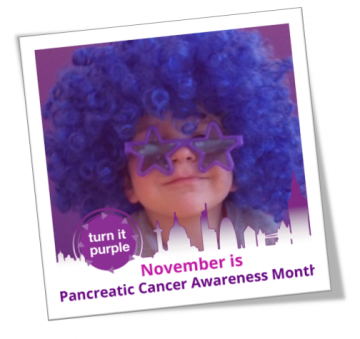 Turn it Purple is Pancreatic Cancer Action’s awareness month campaign, which takes place every November. It is a chance for families, friends and communities to unite to show their support for those affected by pancreatic cancer. Pancreatic cancer suffers from a chronic lack of awareness across the UK. We need greater awareness of the disease and it’s symptoms to ensure that more people are diagnosed in time for surgery, which is currently the only cure. Hold a Wear it Purple day! 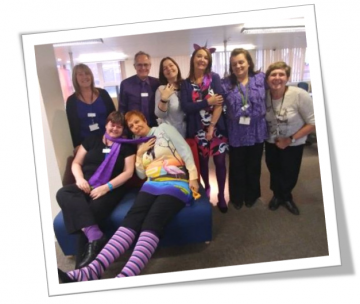 Hold a Wear It Purple day (purple mufti day) in your office, school or with friends and get people to donate to wear a outfit. You could also a purple party with friends – the kids can have one too! 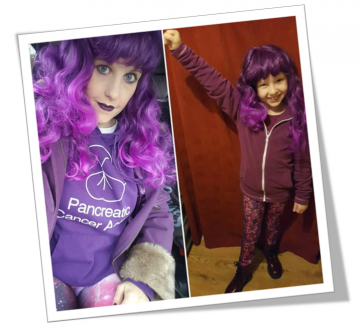 Some of are supporters are even wearing purple everyday this month! Read Vicki’s story here. Why not encourage your local cafe, shop, pharmacy, hairdresser to decorate their display windows with purple items?! You could also ask them to put up some of our posters in the window, a notice board or by the till. We are more than happy to send you Turn It Purple Banners and balloons. Your Turn It Purple pack also includes TIP bunting and you can download more here. You can share a photo of you and your friends with our new selfie frames, share one of our posts or add our Twibbon to your profile picture! 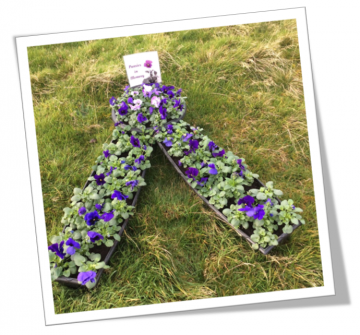 Whether you’re a keen gardener or new to gardening, planting pansies is a simple and lovely way to show your support for turn it purple. The pansy fits the purple theme rather nicely and what is even more special is that it flowers during November (the winter variety!). The most important symbol of the pansy is that it is a living thing. It conveys a message of hope for all those diagnosed with pancreatic cancer. 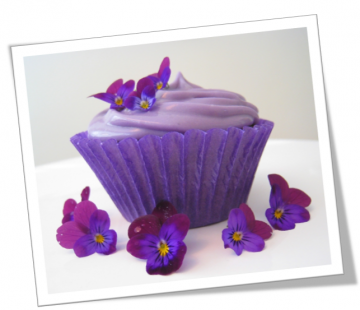 A delicious way to support turn it purple is to bake a batch of purple cupcakes. Have some fun baking and decorating some yummy cakes to share with friends or maybe raise funds by selling them. To help you on your way why not can download the recipe and order a bake a change pack! Together with Nic Dakin MP (Chair of the All-Party Parliamentary Group for Pancreatic Cancer) we will be holding a drop-in session for Members of both the House of Commons and House of Lords. The drop-in session is an opportunity for Members to become better informed about the issues surrounding pancreatic cancer care and how they can better help those they represent. 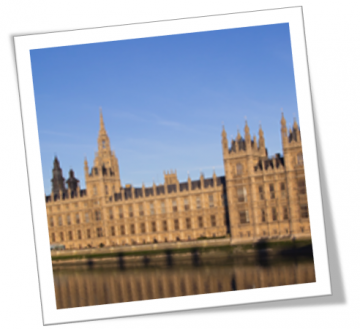 Click here for a simple guide on how to ask your MP to join us. These are just a few ideas on how you can get involved this November. 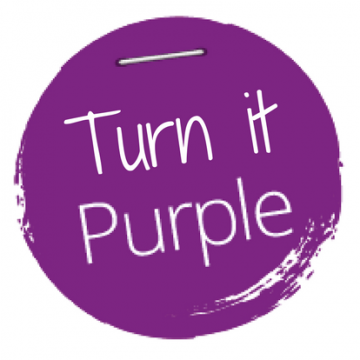 For more ideas on how you can get involved visit the Turn It Purple section of our website!